Hello photography enthusiasts! 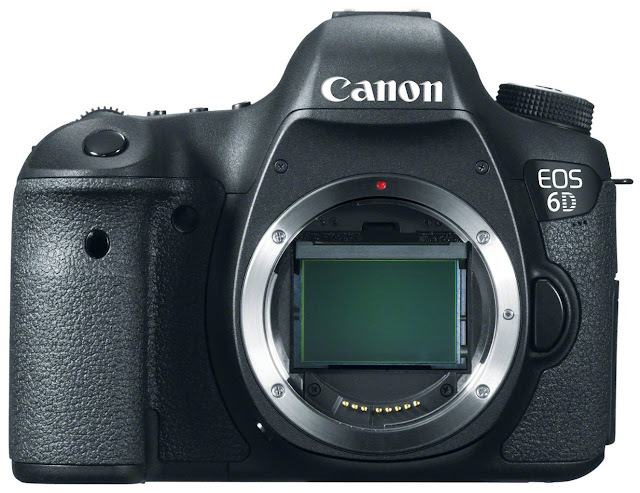 Canon has unveiled today their new EOS 6D camera. This new camera is a great upgrade if you are an EOS 7D owner as this camera is only around $2100 USD (Body only) compared to the EOS 7D which was priced around $1500 USD (Body only). If you are making this upgrade, please take note this camera only reads SD cards and are not compatible with EF-S mount lenses. A 20.2 megapixel full frame sensor, a built-in GPS, DIGIC 5+ Image Processor, and a built-in Wifi transmitter are just some of the important components making this new camera unique. The new built-in GPS allows the camera to include location information in every photo you take. Other Canon DSLRs so far (Example: 5D MkIII, 7D) requires you to plug in an external GPS in order to recored location information. The new built-in Wifi transmitter allows you to upload photos wirelessly, print photos wirelessly, and control the camera wirelessly. Previous cameras (Example: 5D MkIII, 7D) needed an external Wifi transmitter in order to do these things. Peripheral Illumination Correction, Chromatic Aberration Correction, and Distortion Correction can also be done in camera. If I had the money right now, I would totally upgrade from my EOS 7D to this camera. Sadly, I do not have the money right now. HAHA Currently (at the time of writing this post) this camera is up for pre-order at $2099.00 USD plus tax where required on Amazon.com. If you think you want to upgrade, or want to find out a bit more, please follow this link. ISO: 50-102400 (when ISO range is expanded in the in-camera settings) ISO Auto can be limited. User can set a high/low limit. Flash: Needs external Speedlite. None built-in. More specs are available on Amazon.com. I just listed some of the important ones here.